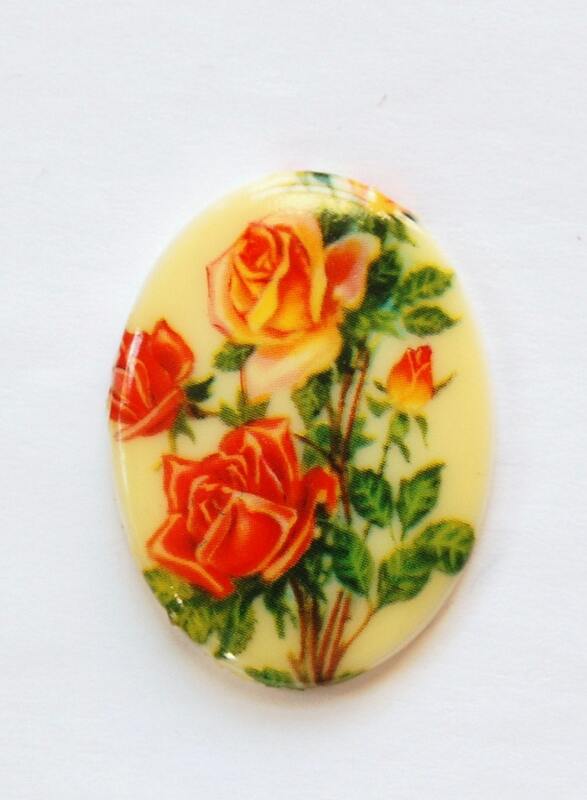 This is a vintage acrylic cabochon that was made in Germany. It features an assortment of pretty roses. This measures 40mm x 30mm. You will receive one cab.